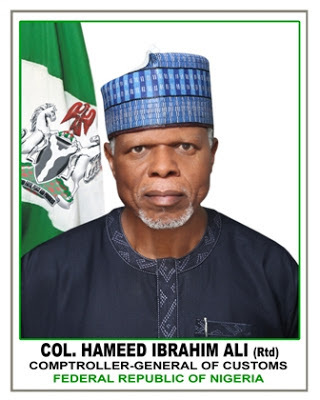 A statement on Tuesday by the Public Relations Officer of the NCS, Mr Wale Adeniyi, said the approval for the reversal was given by the Comptroller-General of Customs, Col. Hameed Ali (Rtd). It would be recalled that the customs in an earlier policy in October 2015 allowed rice imports through the land borders, once appropriate duty and charges were paid. However, Comptrollers of Border Commands and Federal Operation Units had in a review in Abuja noted that dwindling revenue from rice imports through the land borders did not match the volume of rice landed in neighboring Ports. The reports from the border commands rather indicated an upsurge in the tempo of rice smuggling. Implementation of the restriction order got off to a smooth start, with a high level of compliance in October 2015, however, revenue started dwindling from January 2016, with importers blaming access to Forex as major impediments. The review showed that during the five-month period when the importation was allowed, October 2015-March 17th 2016, a total of 24.992 Metric Tonnes of Rice valued at N 2, 335,131,093 billion was imported through the land borders. During the period, total revenue generated amounted to N1,685,112,810 billion, which was considerably lower than the revenue projected to be generated with the removal of import restrictions. However, an upsurge in the number of the seizures has been reported across the land borders since January 2016. In the first two months of 2016, a total of 9238 bags were seized, with Duty Paid Value of N64,666,000 was made by the Customs anti-smuggling patrol teams and all operations and Border commands. The Comptroller-General noted that his Officers and Men may not be totally exonerated from the abuse associated with the implementation of the order on rice, as his office was inundated with reports of collusion between them and rice importers. He said that henceforth there would be zero-tolerance to rice imports through the land borders irrespective of volume. The customs boss, however, said that importers who had already initiated import processes would have a grace period till Friday, March 25, 2016 to clear their consignments.